CINCINNATI -- As we learn more and more about the dangers of concussions, parents are becoming more apprehensive about their children's safety in sports. One small device is putting those worries to rest for some local parents and athletes. 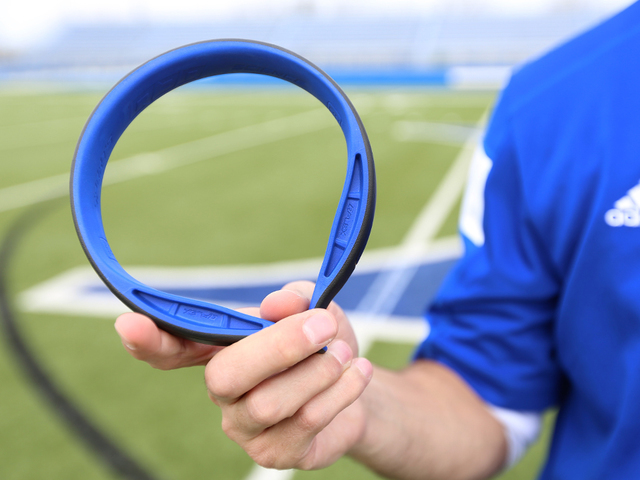 The Q-Collar was introduced to St. Xavier football players at the start of the 2015 season. Their experience was used as part of a concussion study at Cincinnati Children's Hospital Medical Center. The findings of the study were fascinating -- read more about that here -- but for one student, it's changed the way he plays the game for good. Sean Clifford, St. X's 2015 quarterback, said he plans to take his Q-Collar with him to Penn State, where he committed to play college ball. Clifford sustained two concussions in his sophomore year and said his family has been very concerned about his health since then. "My mom has always been worried about me and concussions," he said. While he wore the collar, Sean suffered no concussions. "(My mom) said 'This is a blessing, this is an answered prayer,'" he said. Also check out WCPO.com/concussion for more local coverage.